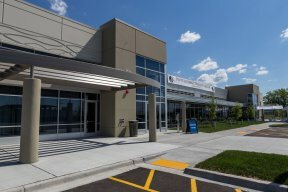 The new facility is designed to train more than 1,600 utility workers and fire officials across the region, while mentoring Chicago Public School students. One of the features includes, the Peoples Gas Utility Training program, a vocational job training partnership with CPS. The program will prepare high schools for potential jobs as “Gas-Track” Workers following graduation. 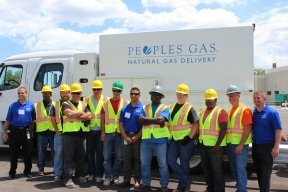 The Peoples Gas utility Training Program launched in 2016 as a way to provide training and mentorship for students to obtain well-paying and stable jobs. “Peoples Gas and North Shore Gas have made a major investment in our vibrant Little Village community, one that will create jobs and provide educational and economic opportunities for our local businesses and primarily Mexican residents,” said Alderman Ricardo Muñoz (22nd Ward). After school training courses for seniors to prepare for natural gas industry job opportunities. 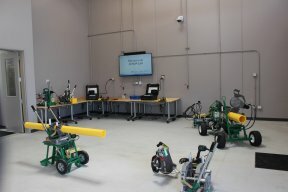 Five classrooms and five practical training areas. Seventy-five meeting room available to local community groups. Mock “Gas City” with a simulated natural gas delivery system pressurized by compressed air –the largest mock natural gas city training site in Illinois, providing the real-world training for natural gas workers available. Commercial driver’s license training area. Structures for training in system maintenance and natural gas leak investigation. “I’m excited the new $20 million Peoples Energy Training Center is coming to the Little Village community, the 11th district of where I represent the people on the southwest side of Chicago,” said Senator Sandoval. 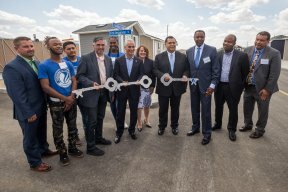 “Peoples Gas and North Shore Gas along with the Illinois General Assembly have come together in partnership to invest in training the future workforce of the energy industry.” Construction of the facility was led by Ujamaa Construction Inc., a Chicago-based, minority-owned general contractor. Peoples Gas and North Shore Gas also worked with two regional engineering firms to design the center.